There is an inner voice that occasionally makes a quiet request to drive north. Uncertain of why it beckons, answering with movement is often rewarding and centering. Drawn by its mystic energy, this time we found ourselves amidst clouds that kissed the ground. They had a refreshing effect, you could feel the weight on your shoulders and drowning your lungs. Although it was a fleeting moment, it is forever a precious memory, partially captured by these images. Straight Bound, featured above, tells this story by name and illustrates it by detail. 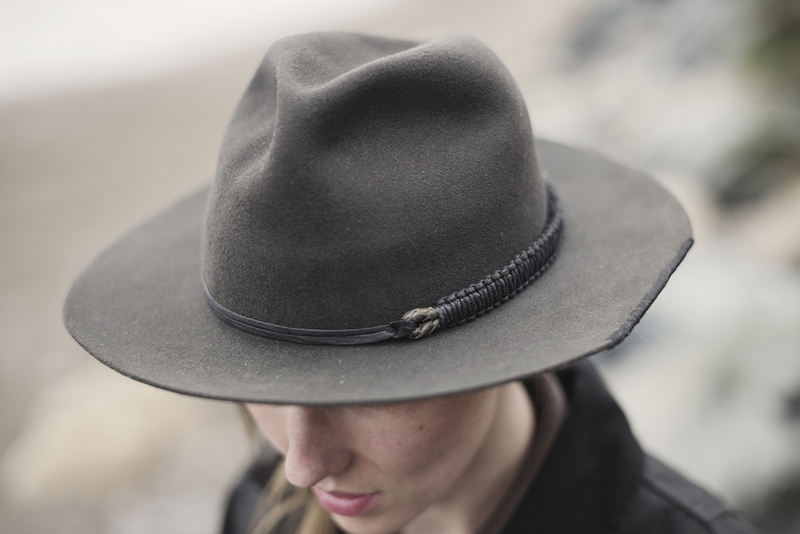 With a sliced edge of its brim, bound in silk, its the first of its kind. Much like this trip, the process of its design was an exploration that called to us. Luxurious lambskin cleanly bands the crown with rhythmically knotted leather contrasting as a featured detail. It is a tactile piece, that will only exist once, living as a memory for the rest.